Here's a tip to fire up your next portrait. Try throwing yours subject in the water. Magical. unpredictable, wondrous things happen when you add water. 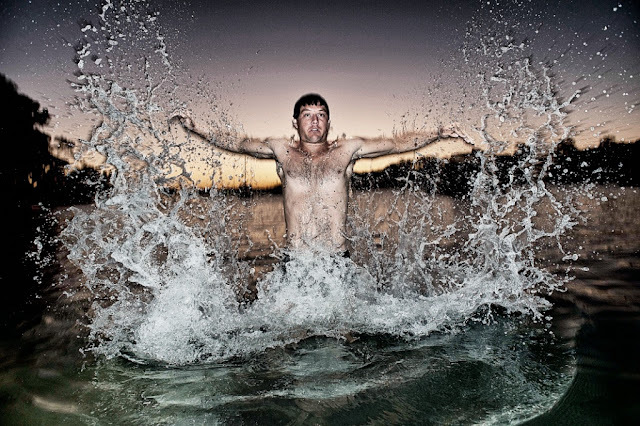 Put your subject in the water, under the water, on the water, sprayed by water will add zest and sparkle. Just make sure you keep your camera dry. The $5000 first prize Fremantle International Portrait Prize opens on 5 May 2013.